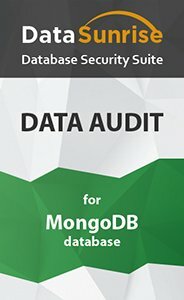 MongoDB audit tool by DataSunrise analyzes database traffic in real time and matches it against the White List of queries defined by database administrators as safe and allowed. Continuous database activity monitoring ensures that attacks on MongoDB are detected and prevented immediately. DataSunrise Data Audit for MongoDB enables non-stop tracking of database activity and capturing of user actions as well as changes made to the database structure. Audit records include the list of operations performed on the database, who performed the operations and when, plus all the attributes of the operations. Due to multiple information security regulations, organizations are now required to implement data audit tools and collect information for compliance reasons. The gathered information is required to contain details on all actions performed on processed data, i.e. sensitive and personally identifiable information. DataSunrise stores audit logs in an internal or an external database for further analysis or investigation purposes. Specialized reports could be generated for specific types of transactions to meet compliance requirements. Unlike some audit tools, DataSunrise does not cause any performance or scalability issues and has no affect on database throughput and performance. Data Audit for MongoDB performs monitoring continuously and this way ensures that database administrators are able to prevent any emerging security threats and identify suspicious activity and transactions that do not match the White List. The most widely used protocol for message logging is Syslog. DataSunrise supports Syslog and enables to import gathered logs to external applications, like Security Information and Event Management solutions (SIEM), which ultimately enhances the level of security of the whole information security system. Integrated with external security systems, DataSunrise allows administrators to achieve complete visibility into database transactions and user activity.